Gift of Susan Molofsky Todres. There is one item in this collection. Bernard Carl Kuczynski was born in Philadelphia on January 8, 1920. After attending Frankford and Northeast High Schools in Philadelphia, he enrolled at the University of Pennsylvania, where he earned his B.S. in Educ in 1943 and his M.S. in Educ. in 1949. At Penn Kuczynski played both varsity football and varsity baseball. Coached by George Munger, he played left end on the varsity football team for three years, and was elected captain his senior year. He played as pitcher and outfielder for the varsity baseball team for two years. He was also a member of the Sphinx Society and Delta Upsilon fraternity. Kuczynski played both major league baseball and professional football. He made his major league pitching debut with the Philadelphia Athletics the summer after his college graduation, on June 2, 1943. After playing six games that season, he was farmed out to the Lancaster Red Roses in the Interstate League; here he was used as a relief pitcher. In 1943 he also played for the Detroit Lions football team, thus playing both major league baseball and professional football in the same season. After World War II he played for the Philadelphia Eagles in 1946. He also played football for the Wilmington Clippers and for Navy teams. 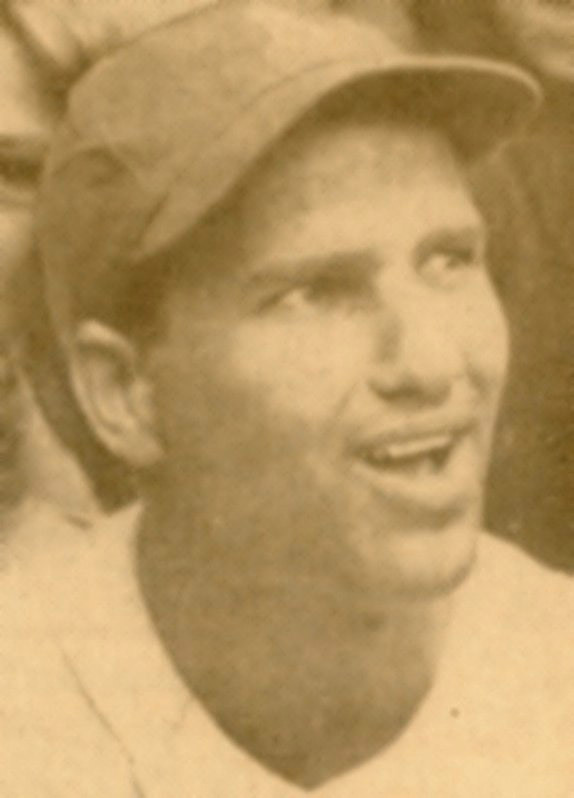 During World War II, Kuczynski was first called up during the summer of 1943, but the Marines refused him because of a knee injury. In May of 1944, however, Kuczynski was called to active duty in the Navy and served as an athletic specialist in the Pacific until his discharge two years later. From 1946 until 1949, while working for a master’s degree in education at the University of Pennsylvania, Kuczynski’s part-time employment included work as a boys’ director for the United Neighborhood Association settlement house and also as an assistant football coach at Penn. Kuczynski taught social studies for twenty-seven years; his first position was in Coatesville, Pennsylvania; he later taught in the Allentown area. As a high school football coach from 1953 to 1964, his team had nine winning seasons and two Lehigh Valley League titles. He also coached baseball from 1961 to 1972. Kuczynski died on January 19, 1997, in Allentown. This black ringbinder holds 205 unlined sheets of white paper. 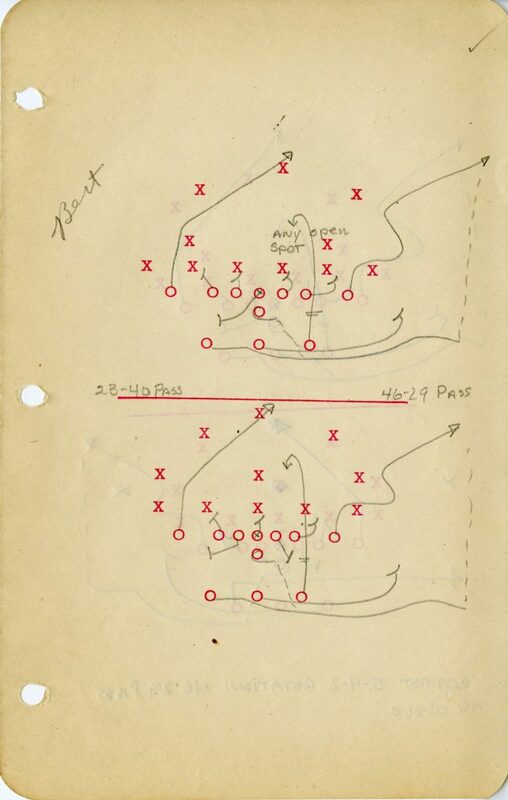 The contents include hand-written, typed and stamped illustrations (in pencil and red, black and blue ink) and descriptions of football plays.